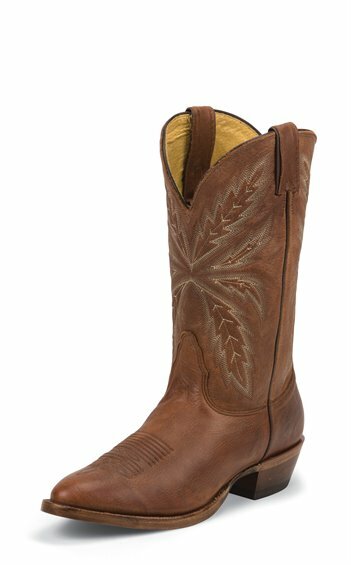 The 12-inch tall Lucca men's cowboy boot is a casual classic. The reddish tan leather exterior is slightly distressed giving this boot a lived-in look and is embellished by a simple inverted stitch pattern along the upper. The narrow round toe creates a relaxed fit while the cushioned insole provides support and the leather outsole guarantees extended wear in and out of the saddle. This style is proudly Made in the USA with global parts.